You have discovered the Lodgepole Case! This beautiful leather phone case is handcrafted in the Ohio Valley, so no two cases are exactly alike. It's also made with genuine veg-tanned leather. No imitation leather, plastic, rubber, or bonded leather (the leather equivalent of plywood) here - this is the real deal. In addition, the Lodgepole Case is reinforced with flexible silicone edges, so your case won't get ragged on the edges like other cases with leather sides often do. The Lodgepole Case will accommodate your phone's camera, flash, and sensors as needed. The Lodgepole Case is easy to take care of - just make sure that it doesn't get wet, as it may stain objects or surfaces if it does. 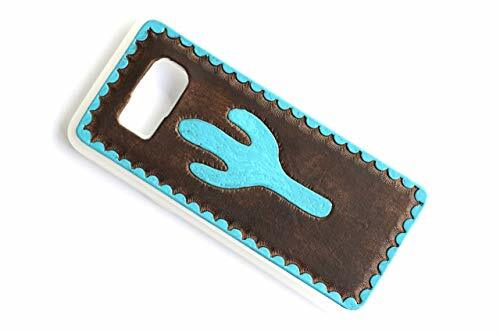 Also, please note that while the Lodgepole Case will provide some protection to your phone, Lodgepole Leathercraft is not responsible for any damage to your phone that occurs while using the Lodgepole Case.